Your guide to using technology in everyday life. It’s time to turn up the notch for karaoke fun! 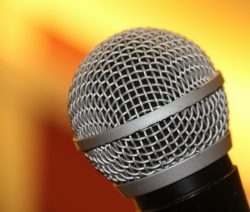 In this article, we will be providing you with karaoke tips to make your YouTube singing party more fun and engaging! 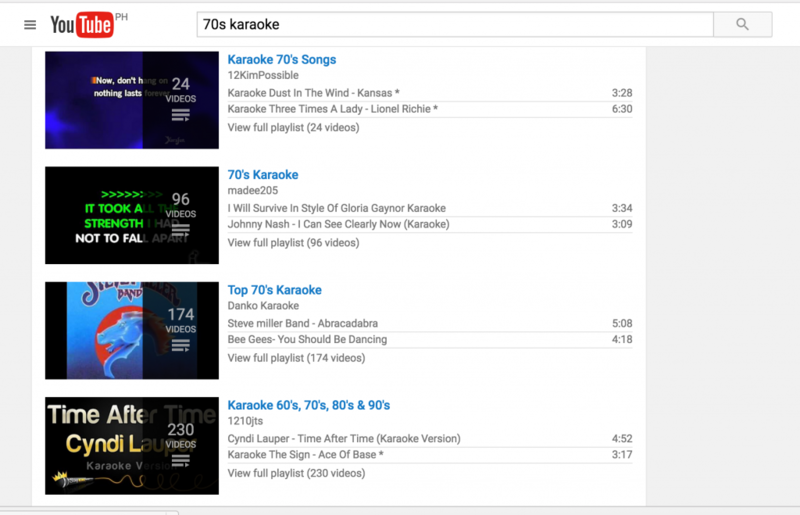 You can find out more here if you want to know how to create a karaoke setup using Google Chromecast and YouTube. 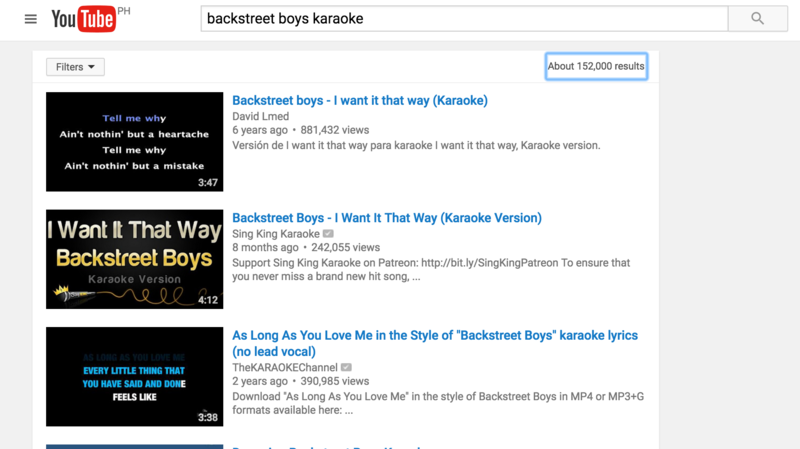 Always put the word “karaoke” after the song title or artist name or any other keyword you choose when you search in YouTube. See samples below using both artist name and genre with the word karaoke. Here are some of the top karaoke YouTube channels that we use – HD videos and great arrangements. Sing King Karaoke – best free karaoke songs – includes both new and classic songs. TheKARAOKEChannel – The KARAOKE Channel offers the world’s largest licensed karaoke library to karaoke fans around the world via multiple services and products. KaraokeOnVEVO – KaraokeOnVevo has over 15,000 songs to their credit produced, mixed and mastered. This is the one feature that puts Chromecast ahead of AppleTV as your Karaoke streaming device of choice. 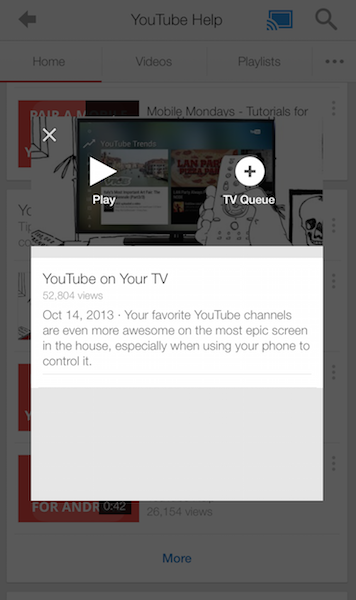 The YouTube TV queue allows you and your friends to create a list of videos to watch on your TV. The TV queue allows the next video on your playlist to automatically start after the current one ends. This allows you and your friends to choose karaoke song selections from each of your devices and create your karaoke playlist together. To allow your friends to add songs in your TV queue, you will need to ask them to connect on the same WIFI network where your Chromecast is connected. You would need to share your WIFI password to your guests to let them use their own devices such as mobile phones and tablets. They can then choose songs from YouTube and add to your TV queue. If you are not too comfortable in sharing your WIFI password to your guests then change your WIFI password temporarily for your karaoke night. Using a simple password such as “karaoke” would save you the hassle of repeating your default password. You can change it back once your karaoke session is done. To avoid having to repeat your WIFI password time and again for each guest, you can print out the password in a small piece of paper or card that your guests can easily pass around. Download this free printable Quick Start Guide to Chromecast Karaoke that you can use during your parties. A Youtube playlist is a collection of videos. You can create a playlist of your favourite hits, or classics or create different sets of playlists for each category. You can have a category called “Favorite karaoke songs”, “80’s Karaoke songs” or “Disney karaoke” or any other genre or artist name that you can think of. Having pre-created playlists can jumpstart you karaoke sessions. This way, your guests will get more ideas and can help build a better playlist. Check this Google support article to know how you can create a playlist in Youtube. Once you have it set then cast it to your TV via Chromecast. You can use the playlist to save time from searching for the same set of songs over and over again. You can also add an entire playlist to your TV queue or you can select songs from the playlist to be added to the TV Queue. Adding an existing playlist to your Chromecast TV Queue is similar to adding a song to your queue. All of these playlists and great karaoke YouTube channels provides you an online catalogue of songs at your fingertips! Choosing a theme for your party with matching costumes and decor will not only make your party more colourful and fun. If you’re running out of songs to sing (if this ever happens), you can get more ideas by choosing a theme to sing – from famous songs from the 70’s, 80’s, 90’s or by artist names and other genres – boybands, disney movies, movie soundtracks, etc. There’s so many choices! Playing games in any party will make sure that everybody will have fun. It will make the gathering more interactive and encourage inclusion and participation from your guests. Karaoke is no different and it should not be taken seriously. The more loose, candid and in the moment you and your friends are, the more fun it becomes. One game you can play is Singer-Song mix-up. Prepare one bowl of small pieces of paper with song titles then prepare another bowl with famous artists such as Elvis, Frank Sinatra, etc. Each singer will then pick a song and will have to sing it in the style of the chosen artist. I use these mainly to protect my microphones from singers’ spit and not really for wind interference. We can easily get carried away during a karaoke night with friends and there will always be someone who naturally would have singer’s spit. 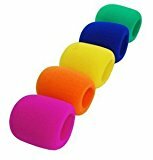 Using these foam covers, you can just let everyone belt out without any anxieties. After your karaoke session, you can easily remove the foams, run water through it, soap it with dishwashing liquid and squeeze. It’s normal to see the colors bleed as you run them through the water. Then just leave them to dry and be ready for your next singing session! Check out the related products from Amazon.com using the links below. Hi. I have the Grand Videoke Symphony Plus system, but cannot find a way to use the wireless mics only with Youtube karaoke and Chromecast. I don’t have a home speaker system, only my smart TV. Hi Xavier, unfortunately, I have doubts if this will work. I tried reading the user’s manual of the Grand videoke symphony but was not able to find anything that will indicate it can function standalone as a microphone. Even if we assume that it does, it uses one of the TV’s inputs – such as RCA cables. While the chromecast will use one of the HDMI slots. In most TVs, you have to select which source you will use – HDMI 1, HDMI 2, Aux (RCA cables), etc. It is for this reason that I don’t think you can use both the videoke and chromecast at the same time output the audio to the TV. You will need a mixer, to combine audio from mic and TV/chromecast and output to a speaker, preferably a karaoke specific speaker such as this Ion Party rocker plus. Thanks so much for your reply. Yes, I thought the same. Having two different inputs, I knew there was a problem. But your feedback is very helpful. Thanks again. Does the USB mixer support echo/reverb? If not, how do you add echo effect for karaoke? Hi Raj, to add an echo reverb, you will need to either use a more sophisticated and expensive mixer or my recommendation is to use a cost effective karaoke specific mixer such as this Karaoke Mixer. This mixer is of course more limited than the Behringer mixer, it does not have a USB and can not be used to mix audio using your computer but it does create the karaoke sound. I have updated my article on How to create a Karaoke Setup using Chromecast to feature this specific karaoke mixer. I hope you find this useful. Per FTC guidelines, this website maybe compensated by companies mentioned or linked to through affiliate programs. Any references to third party products, rates or websites are subject to change without notice. TechLifeGeek is a participant in the Amazon Services LLC Associates Program, an affiliate advertising program designed to provide a means for sites to earn advertising fees by advertising and linking to Amazon.com. TechLifeGeek was created to share how we can use technology to improve various aspects of our everyday lives. The iPhone Upgrade Test – To get or not to get the new iPhone version? © Copyright 2016-2019 TechLifeGeek · All Rights Reserved · Read our disclosures.